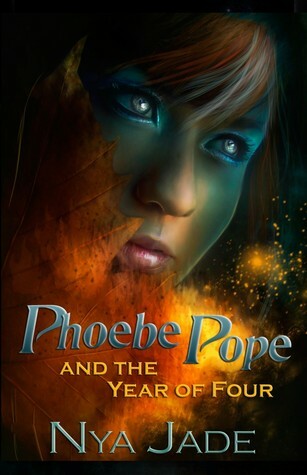 Arguably the most enjoyable YA Paranormal read I've delved into for quite a while, Phoebe Pope and the Year of Four is a novel that I'm sure that most people will have no trouble liking. Author Nya Jade did a tremendous job in world-building - I was thoroughly immersed in the word she created, and I found myself desperate for more information. I won't lie though - the first few pages did throw me off a little bit. A lot of details were just all over the place, and at first I couldn't make myself understand what was what, but once I got the hang off things, I just soaked everything all in. Jade also managed to walk the fine line between showing and telling, and the just enriched her storytelling even the more so. I love the premise - there exist two schools, the Above and Below in one place, where one caters to purely humans while the other caters to Shapers, or shapeshifters, and the Shapeshifters must attend both. The Shapers have a mission, a career path to undertake once they graduate, and that's to kill Vigos which are evil shapeshifters that are considered as abominations. I enjoyed the interactions between the Shapers and humans; as well as those between the Shapers themselves. I had no problem connecting with the characters, most especially the MC, Phoebe, as well. I loved learning about the world of Vigos and Shapers with Phoebe and her classmates, and I can't wait to learn more about it. I enjoyed reading through Phoebe doing her best to live two lives, and they're not easy at that. In her 'Above' life, Phoebe found herself the apple of Colten's, a movie star, eye, and Phoebe is understandably overwhelmed. She's not exactly used to having boys give her the time of day, and here was a bonafide celebrity just showering her with attention. Meanwhile, in Phoebe's 'Below' life, she finds herself the center of a prophecy that endangers her life. Add these all to Phoebe's other problems - Phoebe wields a power that she must keep secret per her father's wishes, and Phoebe hasn't exactly recovered from her father's death at the hands of Vigos either. Yet despite all these, I admire Phoebe's sheer determination and how strong-willed she is to do her best in everything she does. Initially, I was wary of the development of Phoebe and Colten's relationship. I was half-expecting something like insta-love, but I'm happy to note that we readers don't get anything like that. While an integral part of the story, the budding romance between the two isn't the primary focus of this series, and that's something that I'm actually a huge fan of. I also like how Colten never took advantage of Phoebe's naivety.